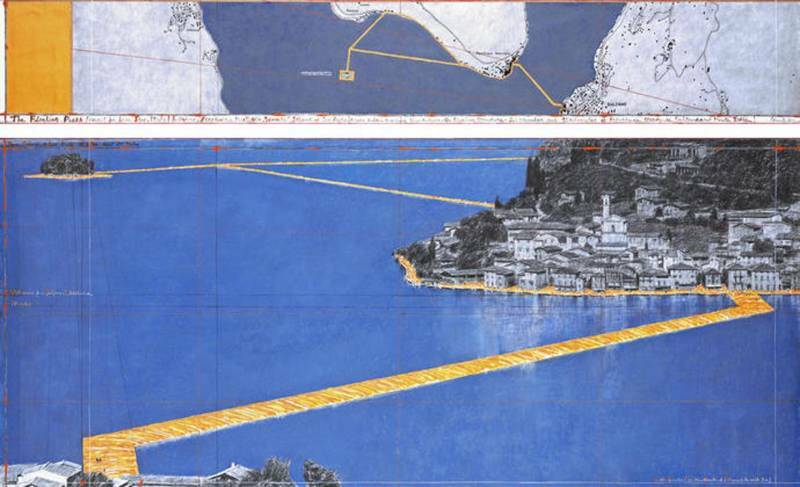 The floating piers is a giant contemporary work of art by the artist, Christo. It will be open to visitors from 18th June to 3rd July on Lake Iseo, close to Sulzano and Monte Isola. The floating piers is a floating walkway made from polyethylene covered in a thick weaved yellow fabric. It connects the mainland at Sulzano to Europe’s highest lake island, Monte Isola. 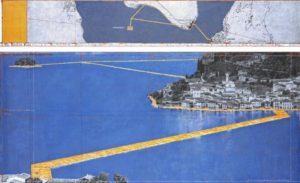 By taking advantage of Christo’s work, you can quite literally walk on water! The walkway is 16 metres wide which means there is room for hundreds of people to cross at the same time. You could also swim to it or take a small boat to it. Unfortunately, it is only possible to cross the walkway on foot; motorbikes are not allowed! You will probably be asking yourself what is the best way to reach Sulzano or how do you go about hiring a motorbike in order to visit the attraction. We will give you all the advice you need! Visit our webpage which gives all the costs for hiring a motorbike. Choose the bike you prefer for travelling to Sulzano and visiting Christo’s floating piers! It is only open to visitors between 18th June 2016 and 3rd July 2016, so there’s no time to waste. Choose the dates and book your motorbike now so that you can have a relaxing trip. Hire your motorbike from Rider’s Nolo, get on the bike and… gooooo! No queues, no problems!